CANCELED. WE APOLOGIZE FOR ANY INCONVENIENCES. Stacey Little will also be sharing a few of his recipes with us! So come for the food, stay for the great company, and learn from a fantastic chef! Cocktails, Wine, and Craft Beer also sold by our Book Cellar Bar! Blogger and Wall Street Journal best-selling author Stacey Little is committed to getting folks back to the table for dinner. His quick and easy recipes are allowing families to get a home-cooked meal on the table without a lot of hassle or expense. He has appeared on The Today Show and Fox and Friends and has lent his talents to national brands like Betty Crocker, White Lily, Martha White, Kraft, and celebrities like Queen Latifah and Reese Witherspoon. He's been featured in print publications like Southern Living, Taste of the South, Family Circle, and Better Homes and Gardens. Today, his easy, delicious recipes and heartfelt stories have brought millions to his blog, SouthernBite.com, since he created it in 2008. 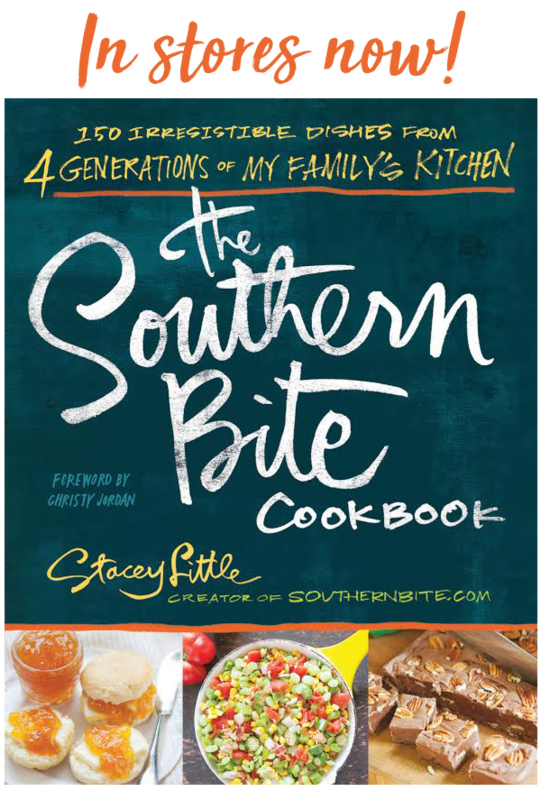 Stacey's cookbook, The Southern Bite Cookbook, is available at book retailers across the country and online. Stacey's deep Southern roots have him firmly planted in central Alabama where he lives with his wife, little boy, dog, and his collection of cast iron skillets.